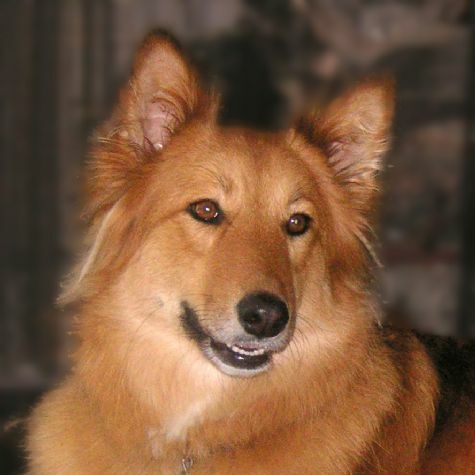 My name is Lulu, and I am a German Shepherd / Rough Collie mix. I was wandering on a freeway, and a kind person took me to an animal shelter. I was scared and lonely until I was adopted by loving parents. I can follow commands in English, Japanese, Spanish, and Korean, and I am learning sign language. Other than visiting hospital patients on weekends, my favorite pastimes are chasing squirrels, fetching balls, playing with toys, posing for pictures, and playing hide and seek with Bobo the cat.